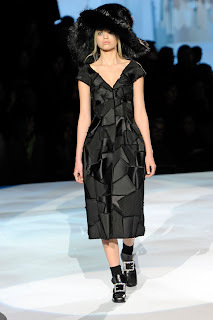 While his fall 2012 collection receives praise, Marc Jacobs has come under fire after opting to use two 14-year-old models in his show Monday. Jacobs sent 14-year-old Ford models Thairine Garcia and Ondria Hardin, pictured above, down the runway, despite the 16-year-old age limit suggested by the Council of Fashion Designers for America (CFDA). The girls have appeared in Harper’s Bazaar, Marie Claire and Elle magazines. This comes a few days after Ford denied pledging to use models who were over 16-years-old, despite a news release from the CFDA last month that claimed otherwise. 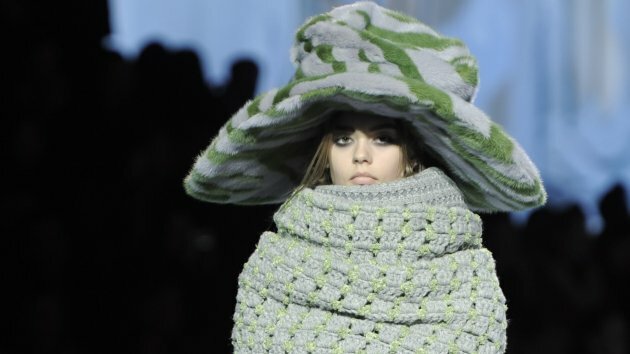 Some argue that the large, fluffy hats and over-sized clothes Jacobs sent down the runway didn’t warrant breaking CFDA guidelines, when the model’s faces were barely recognizable amid the fabric.